I was seven when I first picked up a guitar and, as fate would have it, we lucked into the perfect teacher for me. He was classically trained in Europe but had moved to Canada in order to set up a music school. He was able to play a wide range of instruments but always stressed the basics - technique, reading and theory. Well, we really hit it off, my mom would tell me that while most of the students left the lessons angry or upset I was always happy and skipping. I think that I must be one of the few guitarist around who actually played through all of the Mel Bay books. Shortly before my 15th Birthday I received a call from my teacher asking if Id be interested in working with a few beginners. It turned out to be great gig for me and the only part time job that I ever had. I rented my own space after high school and built up my own clientele which I still maintain to this day. Ive always been an avid transcriber so, as a teenager, I gradually worked my way through as much Deep Purple, Led Zeppelin and Jimi Hendrix as I could while teaching during the week and playing at various parties and weddings on the weekends. One day a drummer friend of mine asked me if Id like to catch the Mahavishnu Orchestra concert with him. Id never heard of them but that evening changed my life. I watched John McLaughlin, bathed in white light, playing these incredible riffs on a double neck SG in time signatures that I couldnt even count. It was like nothing Id never heard before. It seemed completely surreal at the time but I knew then and there that I wanted to know what, and how he was playing that music . Enter my fusion phase with the likes of John Abercrombie, Larry Coryell, Pat Martino and later Mike Stern and John Scofield blazing new trails for all guitarists to follow. My biggest influences personally would have to be in order ... John McLaughlin, Pat Martino and Mike Stern. I love the way all three players are able to sustain a line through multiple measures while maintaining a musical quality to it all. As an artist I finally took the plunge in the mid eighties and recorded a pair of albums that garnered a lot of attention in Canada. Both albums were surprisingly successful but the lack of local venues and tour support meant that your live exposure was very limited. After wrapping up a series of promo gigs I met my wife and settled back into my teaching, session work and gigging routine while paying mortgages and being a dad to our now 15 year old son. Hes actually turning into a pretty decent player himself. 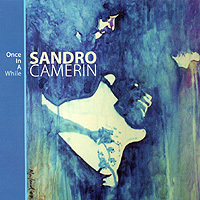 The new album Once In A While comes as a result of a project gone badly astray. I had been enjoying considerable success in Canada from my previous albums Real To Reel and Shadows In The Dark but now I was looking to do something a little more organic and intimate. I was really into the acoustic guitar then and had already written some cool tunes that I thought would make a great album project. Unfortunately, I made the fatal mistake of giving up too much creative control along the way and, in the end, I could hardly recognize my own tunes any more. Only three of them turned out as Id envisioned them. It was all really disappointing but, not to be discouraged, I went out and bought a Mac and some serious recording gear with the intention of completing the remaining tracks on my own. That would prove to take quite some time because my life got to be ridiculously busy right around then. I was teaching 40 hours a week, gigging on the weekends and doing a fair amount session work for everyone but myself. Add to that the fact that we were just starting our family and, what should have taken months to complete, turned into years. So finally, after many late nights and a summer locked up in my studio, the last six tunes were finished. I then combined those with the original three and added four more from the previous albums. Voila! Once In A While was a reality. Im really pleased with how it turned out and, if nothing else, I learned a lot from the whole experience. Here are a few personal notes on the individual tracks. What.....jazz on a flat top acoustic? Why not! I used a beautiful Guild F-50 Blonde (http://www.guildguitars.com/) with a carved back on West Coast Expresso. Henri Lorieau is a genius and a legend around the Vancouver studio scene. He has this incredibly intuitive knack for knowing exactly what a tune needs and then he just rolls up his sleeves and dives in. My solo at the end was great fun. We only did one take but I did have the evening before to prepare for it. You may also recognize Doug Edwards name from the band Skylark. Great bass player! For the tune Luna I wanted to flex my jazz muscles a little more so there are a lot more chord changes within the form. Once again the Godin Multiac is the featured guitar with the Kinal L-5 showing up in support. For the solo I stuck a B-Band in my favorite Kinal KT travel guitar and it just fit right in. The ambient whale noises took some doing. Eventually I decided to go with my Kinal Tele with an old DeArmond pickup in the neck position using a bottleneck slide and a volume pedal. It was all processed through my Line 6 pod. I wrote A Little Bit of Paradise after a rather memorable Mexican vacation. My Guild F-50 is, once again, the featured guitar on this deceptively tricky piece. It was great fun to record and I think that all comes through on the finished mix. I still chuckle every time I think of five grown men hunched over a keyboard simultaneously tapping out the various percussion parts. A Crater On Venus is a very introspective and seriously West Coast groove. Salt and cedar throughout. My Kinal L-5 Voyager was the perfect guitar for this tune. Thanks to Daryl Bennett for the marvelous percussion work. 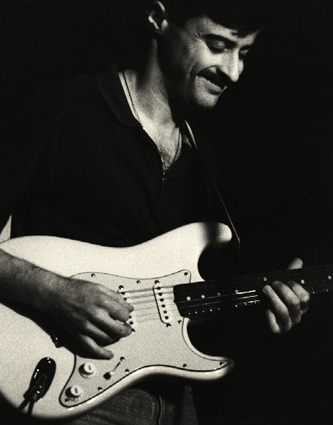 I was in a Fender Strat phase when I wrote the tune The Picture Of Happiness but it was really Ron Johnstones skillful keyboard work that set the tone for this piece. His lines are always so fluid and lyrical. The Falls was a very visual piece right from the start. I used my Kinal KT for the picked rhythm. The initial melody lines are played on the Godin Multiac with my Les Paul (http://www2.gibson.com/Gibson.aspx) replacing it during the rapid fire tumbling sequence. Yes, thats definitely a written part! I got really experimental with the end segment and ultimately decided to have each sound, acoustic, electric, classical and slide take its own turn in the mix. Henri Lorieau knew exactly what I was going for on the tune Saturna. He somehow managed to create the perfect mystical backdrop without changing a single note from my original arrangement. My Guild F-50 is featured on both the rhythm and melody parts. I just stumbled onto a reference to the great jockey Johnny Longden and became fascinated with his whole life story. Longdens Sweep tries to capture the feeling that he must have had as he headed for the finish line during his final victory in the Triple Crown. I restrung one of my guitars Nashville style and doubled it with one of my KTs for the picked arpeggio rhythm part. The melody and solo are all Godin Multiac. For The Water Mirror" I wanted to create a steamy tropical setting for the main section. No chords, just tuned percussion setting the mood. Then in the solo section I meant business throwing in a lot of chords using tritone substitutions. There had to be some kind of transformation just as there had been in the original story. I played Godin Multiac for the main melody with my Kinal Tele for both the clean and overdrive parts. It all went through my Line 6 Pod. The River of Peace may be my favorite piece on the CD. I was totally into the sound of the Kinal L-5 Voyager when I wrote the tune. I love the simplicity. Percussionist Daryl Bennett brought his usual bag of tricks and helped to shape something beautiful. Farm Hands didnt really suit the overall vibe of the CD so I decided to included it as a bonus track. My Kinal Tele handles all of the electric duties with a touch of KT acoustic for added glue. The first pro guitar that I bought was a Gibson Les Paul and I still own it and love it to this day despite some terrible servicing experiences. I used it in the center section of The Falls. In the studio you find out pretty quick that no one guitar can do it all so, more out of necessity than anything else, Ive gradually amassed a decent collection of both electric and acoustic instruments. If I had to start from scratch I think that the one electric that Id couldnt live without would be a Fender Telecaster type. Simple, easy to maintain and, with the right pickups, extremely versatile. I had Mike Kinal make one for me a few years ago. The best thing about owning a custom made instrument is that you can discuss different aspects like wood types, scale lengths, radiuses and electronics throughout the whole process. On mine we went with an alder body (I like the sound and weight of alder), maple neck and rosewood fingerboard with an old DeArmond pickup (http://www.dearmondguitars.com/pickups.html) in the neck position and a Lindy Fralin (http://www.fralinpickups.com/) at the bridge. Its featured a lot on the new CD. Ive played through just about every amp brand out there, finally gravitating back to the old Fender products. The Deluxe Reverb is still my favorite in the studio. Sadly, most of this gear is fast being replaced by the newer modeling technology in the studio. Im not convinced about the live applications just yet though. Ive used DR strings exclusively for quite some time now. They have great tone and feel plus they tend to last longer. When Im recording Ill try using a variety of pedals and gadgets for ambient effects but, generally speaking, Ive always felt that the less you stick between the guitar signal and the recording machine the better. Jimi Hendrix - Are You Experienced? - Jimi had a very unique way of doing things that has now become an integral part of the whole guitar language. Led Zeppelin I - IV - I know that it was considered hard rock but there was so much improvising going on that it may as well have been jazz. Deep Purple - Machine Head - Ritchie Blackmore has such great technique. Jeff Beck - Blow by Blow - Very sophisticated instrumentals and you werent waiting for some token 30 second guitar solo to happen. 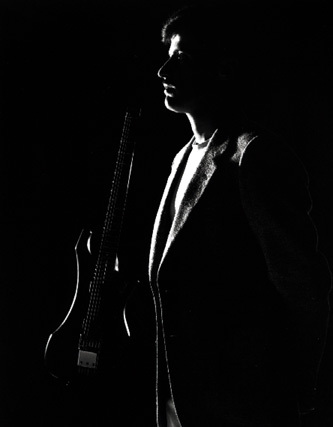 John McLaughlin - All of the Mahavishnu Records and beyond... Impossible stuff. I almost quit when I heard him the first time. Mediocrity is easy and John McLaughlin just doesnt do easy. Pat Martino - Joyous Lake - The lines are so precise yet it all stays so musical. Its like hes weaving some very fine cloth. Pat Martino taught me all about Dorian substitution. Hes a master at it! John Abercrombie - Timeless - Very spacious grooves but dynamic at the same time. New applications for all of my pentatonic scales. Tony Williams - Believe It! - (featuring Allan Holdsworth.) It was like ....Wow! Whered this guy come from! Ouch! Do I really have to stretch that far? Miles Davis - We Want Miles (featuring Mike Stern) - I like the way Mike Stern can combine some tasty blues/rock riffs with his trademark long harmonic minor lines within the same solo. Miles Davis would often take it way out there and then leave Mike to find his own way through. He always does! John McLaughlin, Al DiMeola and Paco DeLucia - Friday Night in San Francisco - Perhaps the best concert Ive ever attended was this trio live in Vancouver. You could tell that they were all really into it. Steve Morse opened solo and joined the trio for the last few numbers. What a show! The question I get asked the most is...Where can we buy your old stuff? The tunes have already been digitized and remastered. Its just a matter of setting the wheels in motion and getting some kind of distribution in place, be it digital or hard copies. Next on my list is to dot the is and cross the ts on another bunch of half finished material thats been sitting around for a while. Id like to have those tunes ready for release at the same time as the old catalogue. Tours and promo will largely depend on the kind of buzz that I can generate over the next few months. Im off to Europe in July for a working holiday. Theres been a fair bit of interest in the CD over and itll be nice to develop a few new connections on another continent. The industry has changed so much that its hard to get a bead on where to best spend your time and money so as to be as effective as possible. Interviews like this can go a long way towards garnering the right kind of attention. The new album has also been submitted to various agencies for consideration re: the Canadian music award circuit and, at least some of, the broadcast media should already have their copies in hand. My web site is www.sandrocamerin.ca Theres a studio page on it with some lesson resources that may be of interest to guitarists who are trying to get up to the next level. E-mails are always welcome. I try and personally respond to each and every one. Once again, thanks and best of luck to everyone at MWE3.